Boxing is a sport that only incorporates the use of your arms but your legs are just as important to get out of harm’s way. 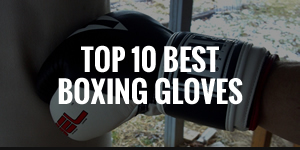 It may seem simple to only use your fists when fighting an opponent, but there are many different styles and moves that make up the sport of boxing. 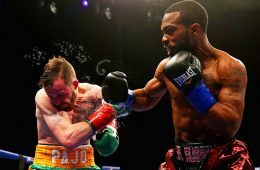 You may have heard the saying “styles make fights” and that couldn’t be any truer, but the top pound-for-pound fighters can adapt to almost any style. 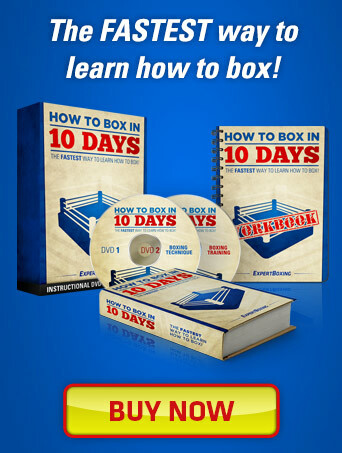 If you want to actually learn how to box, I recommend the How To Box In 10 Days Online Course. 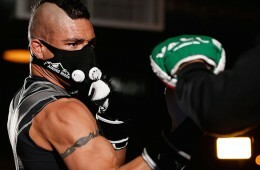 These types of fighters embody the whole science of boxing. They use their smarts in the ring to maintain a safe distance between themselves and their opponents, and they pick their spots to attack. They may lack punching power although that’s not always the case, or they’re just weary of getting hit and prefer to fight defensively. The ability to control the pace of a fight to their advantage is their strong-point and generally, this kind of style would be favored against others. 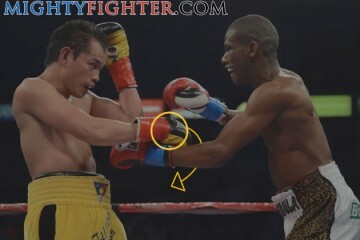 Great footwork, reflexes, timing and ring smarts are attributes of a pure boxer/counterpuncher. 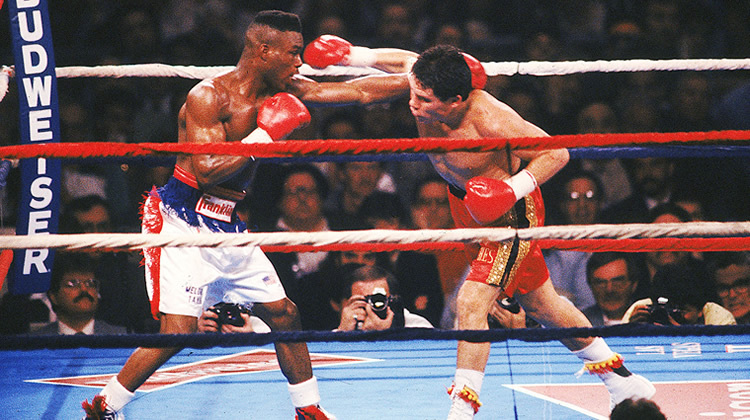 Examples of Great Pure Boxers / Counterpunchers are: Floyd Mayweather, Pernell Whitaker and Ivan Calderon. 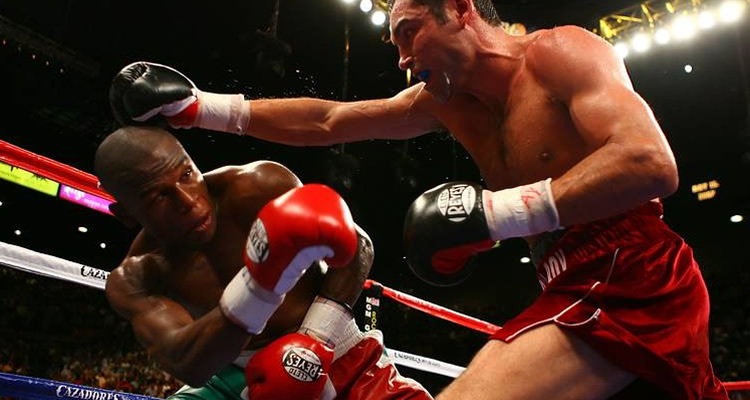 Floyd Mayweather ducks De La Hoya’s right hand. A boxer puncher is similar to a pure boxer in the sense that they have the ability to box, but they also have good punching power which they will utilize. They can break opponents down slowly or can even knock out their opponents with a single well placed shot. 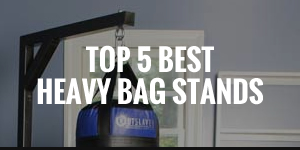 They’re well rounded fighters with a good technique but can rely on their punching power too much sometimes, which can put them in danger of losing a fight. 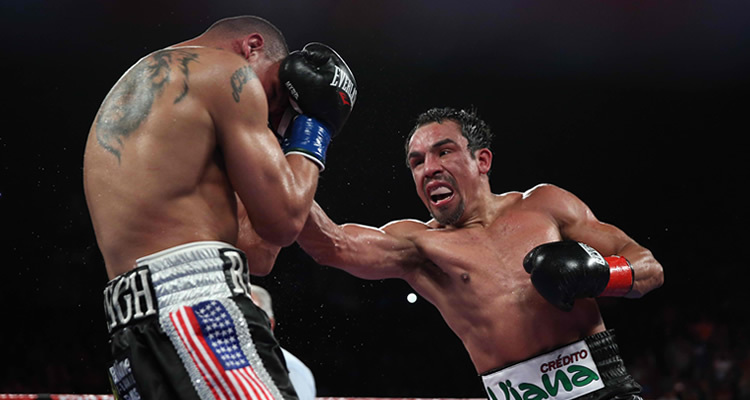 Examples of Great Boxer Punchers are: Miguel Cotto, Nonito Donaire and Juan Manual Marquez. Perhaps one of the most exciting styles to watch is that of a brawler/slugger. They can generally lack one or more of the following: Great footwork, defensive abilities, ring smarts and speed. However, they make up for it by using pure aggression and relentless pressure to break down their opponent. Often, their defensive flaws and aggression leaves them open for counterpunches, so the ability to take a good deal of punishment is essential. 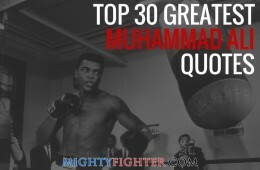 There are two stances which a fighter can adopt. The common Orthodox stance which your left foot is your lead or the Southpaw stance which is the opposite, where your right foot is in front. 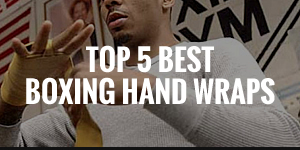 Southpaws are usually left handed although this isn’t always true, it just depends on what stance the fighter feels natural with. How a fighter decides to stand or keep their hands depends heavily on their style. Pure boxers/counterpunchers sometimes would keep their hands low to lure their opponents to throw a punch and miss, then they would quickly strike the opening. Brawlers tend to keep their hands up to cover their face because they usually don’t have the reflexes to avoid punches with their feet or body movement. 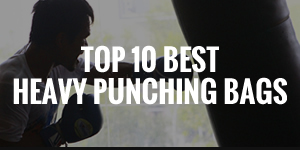 1) Jab – The most important punch in boxing is the jab. It’s a punch that is throw with the lead hand from a stance positive. 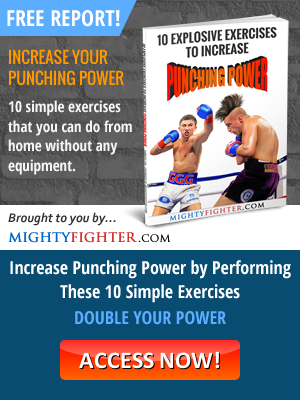 It’s the weakest punch but the most effective as it allows you to set up power punches and also to keep your opponent at bay. 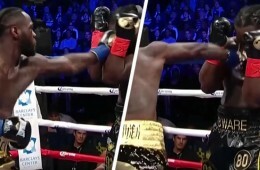 Some fighters have very strong jabs which stuns their opponents while others have a pawing jab, which does nothing more than gauging distance. 2) Cross – A cross is a straight punch thrown from the back hand from a stance position. Of all the power punches, this is the most effective from a distance because it travels in a straight line which means that it’ll hit the target quicker. 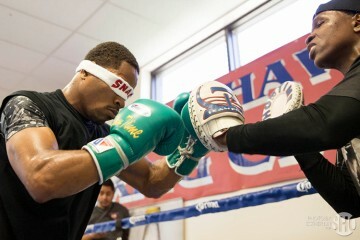 The ‘one two’ is a classic combination of a jab followed by a cross. 3) Hook – The hook is a semi-circular punch that is aimed to land at your opponents side. It’s a punch that can generate a lot of power and increases the chance of a knock down or knock out because sometimes your opponent cannot see the punch coming (often referred to as their blindside). 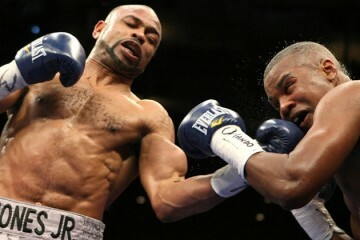 4) Uppercut – An uppercut punch rises from the bottom and is usually used when your opponent puts their head too low or in front of their lead foot. 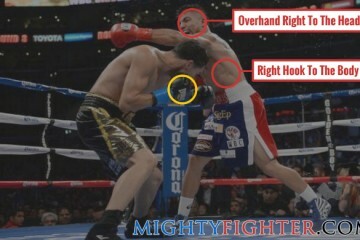 It’s also a risky punch because if you miss, you’ll be off balance and leave yourself open to counter punches. 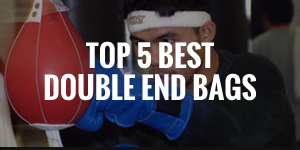 5) Overhand – The overhand is a punch thrown with your back hand and travels over your head in a looping fashion. It’s a wide and dangerous punch that requires good timing to land because it’s easier to see this punch coming from a distance. “To hit and not get hit” is the name of the game. 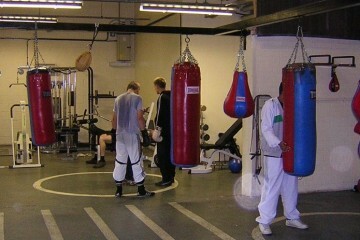 Footwork – An outside fighter relies of their footwork to avoid punches. They need quick feet to bounce in to attack and then bounce out to defend. 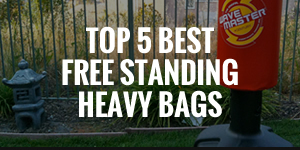 It’s an effective and safe way of defending but requires a lot of energy. 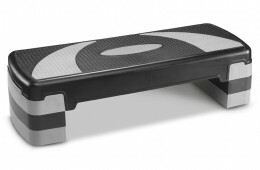 Slipping – To slip a punch you need to have good reflexes. 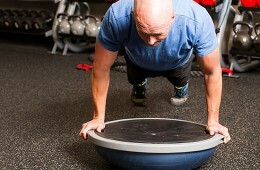 It involves you turning your hips and shoulders slightly to avoid a punch coming towards you. 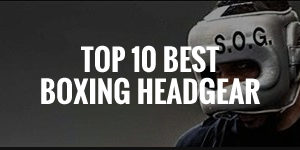 Bobbing and Weaving – Moving your head sideways and bending your knees to evade incoming punches and then popping back up in a position to punch is referred to as the bob and weave technique. 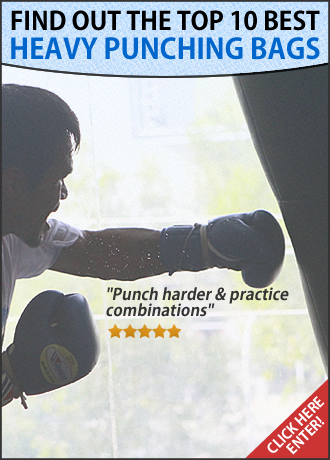 Blocking and Parrying – To effectively block punches, you need take punches on your shoulders, arms. Keeping your hands up to slap punches away is called parrying, which requires good reflexes. Clinching / Holding – This form of defensive is not pretty to watch, but at times is necessary, especially when you’re hurt or dazed. 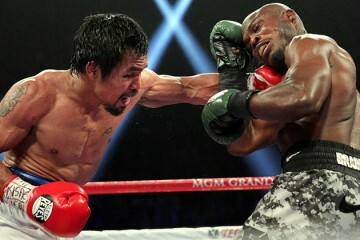 Clinching involves getting in close to your opponent and then tie up their arms so that they can’t throw any punches. It’s a temporary defence as the referee would break up a clinch to resume fighting, but gives you precious time to recover. 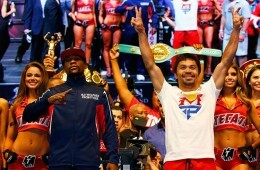 However, some fighters may not be hurt but would clinch as part of their strategy or style.